During her time at the RSAMD, she performed as a soloist with the BBC Scottish Symphony Orchestra in Bartók’s Three Village Scenes and sang Hippolyta in Britten’s A Midsummer Night’s Dream. While at Trinity she was lucky enough to take part in a mentoring scheme between Trinity and the Royal Opera House, Covent Garden and sing in a masterclass with Teresa Berganza. She was accepted onto the Britten-Pears Lieder Course at the Aldeburgh Festival with German baritone Christian Gerhaher and accompanist Gerold Huber and subsequently performed a concert series in Germany. Highlights in recent seasons include Kate Cassidy in Richard Wargo’s Losers for Wexford Festival Opera; Jacqueline Sherwood in Kiss Me, Figaro!, a new commission for Merry Opera, written and directed by John Ramster and her company debut with Opera Della Luna as the Duchess of Plaza-Toro in The Gondoliers. Kristin recently made her debut with Opera North covering Flosshilde in Der Ring des Nibelungen. British Character Tenor Stephen Anthony Brown studied at Trinity College, London and at the Royal College of Music Benjamin Britten International Opera School. Recent engagements have included his début at Shakespeare’s Globe Theatre in Gabriel directed by Dominic Dromgoole, with The English Concert conducted by Trevor Pinnock, Tanzmeister and Brighella in Ariadne auf Naxos, the Gamekeeper/Huntsman in Dvorak’s Rusalka for Lyric Opera Dublin, cover Chulak in The Fire-Workmaker’s Daughter for Opera North, Spoletta Tosca for Lyric Opera Dublin, Mr Erlanson in Sondheim’s A Little Night Music for Opera Project. Previous seasons’ highlights include Elder Hayes in Carlisle Floyd’s Susannah for English Touring Opera. For Glyndebourne Festival and Touring Opera he has performed Pedro in Prokofiev’s Betrothal in a Monastery, Peasant Leader Eugene Onegin, and the covers of Monsieur Triquet, Peter Quint, Lysander and Remendado. Arturo Lucia di Lammermoor for Scottish Opera, Tom Rakewell The Rake’s Progress at London’s Blackheath Halls, Don Ramiro La Cenerentola for English Pocket Opera, Belmonte Die Entführung aus dem Serail for Opera de Baugè in France, Eisenstein Die Fledermaus Carl Rosa Opera and Filch in John Gay’s The Beggar’s Opera for the Consort of Early Music. 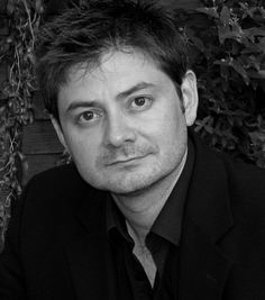 He has also performed a number of new and rarely heard compositions; highlights have included the role of Neck-Konig in the world première of Samuel Coleridge-Taylor’s lost opera Thelma for Surrey Opera, David in Deirdre Gribbin’s Hey Persephone! for Almeida Opera, the British première of Rothchild’s Violin by Fleischman/Shostakovitch for Second Movement. Stephen’s affinity for the works of Gilbert & Sullivan has seen him perform lead roles internationally and on tour in the U.K. for Carl Rosa Opera and Opera Della Luna and at the Buxton International Festival. Nanki Poo The Mikado for The D’Oyly Carte, Colonel Fairfax The Yeoman of the Guard and Captain Fitzbattleaxe Utopia Limited in New Zealand, and gala concerts for Raymond Gubbay and with the RTÉ Concert Orchestra at the National Concert Hall, Dublin. 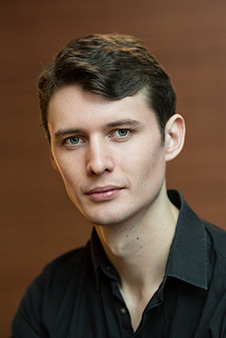 Piran Legg is a Bass – Baritone originally from Kent and a graduate of the Guildhall Opera Course and Artists Diploma. He has performed extensively in Opera and concert around the UK and abroad, working as a soloist with companies such as Wexford Festival Opera, Garsington Opera, Scottish Opera and the LSO. Recent highlights include a critically acclaimed role debut as Ferrando in Verdi’s Il Trovatore, a debut as Colas and Buff in a Mozart double bill with Pop Up Opera and concert debut as Action in West Side Story with the Bath Festival. This February Piran was thrilled to appear as Colline in new company Paisley Opera’s exciting production of La Boheme. This summer has performances lined up as Banquo in Verdi’s Macbeth in Dundee, Purcell’s Fairy Queen with Water Perry Opera Festival and in the Merry Widow with Opera Bohemia. Piran has won Music Prizes at the Canterbury Festival, is a former International Opera Awards Young Artist Bursary Winner and Fishmongers Music Scholar.